Impressive for a '77 release. 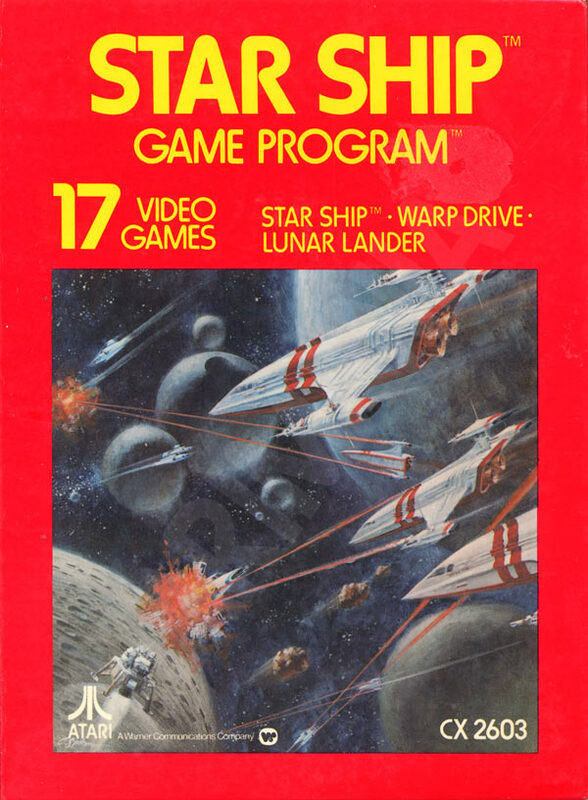 Sure, better games like Starmaster came along (years later), but give Star Ship a break, it's got to be the first 3-D first-person home video game ever; and it's actually pretty neat. 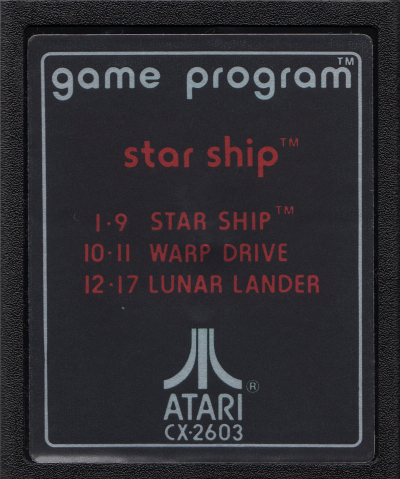 I wish the Lunar Lander game was actually Lunar Lander, but it's still nifty...in what other game can you control the moon? 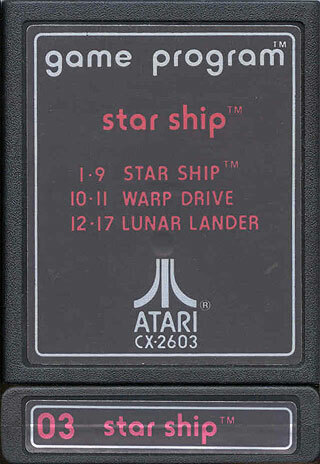 Atari (USA) (Text), Atari (USA) (Black). 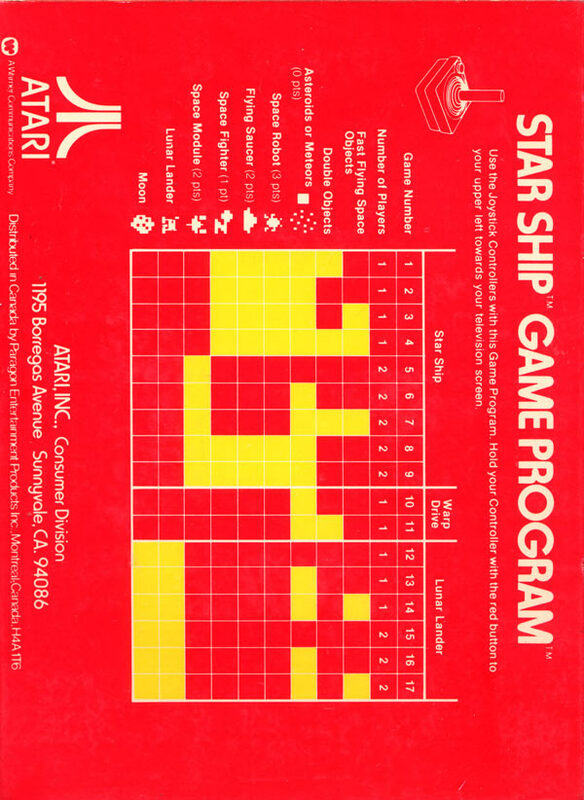 First Atari 2600 game to use registers as general RAM storage, giving you 3 more bits of RAM.